Hello, It's time to gather your gear champions and test your fate. We've begun testing solo-queuing on Garrosh; you can enter a solo-queue for arenas. The non-player character is available in Durotar and Elwynn Forest. If you encounter an issue or a bug with this feature, please let us know by posting below. You can also give us feedback on what you would like to see as well here. Information • First wing available • Modes: LFG, Normal, Heroic Antorus represents the center and source of the Legion’s power, and the team approached the design of the zone with several principles in mind. First off, Antorus is staggering in scale; this is not a mere terrestrial fortress or keep, but rather a sprawling complex carved into the depths of a shattered world, and while sections of the raid are traversable on foot, players will use the Vindicaar and other means of conveyance to span the great distances involved. Second, this is the culmination of a military campaign by the Army of the Light and our other major allies in this fight, and player champions represent the tip of the spear with an army at their back. As you carve a path through Antorus, a pitched battle rages all around you, and your actions help advance the cause of the Light in this battle for the fate of all worlds. And finally, we get a rare chance to delve into the Legion’s true origins—before the Fel, and before black and green corruption, there was a single mighty titan who embarked upon a crusade that would shape the fate of the universe. A glimpse of those ancient secrets awaits the bold and daring souls who venture into the innermost depths of Antorus. 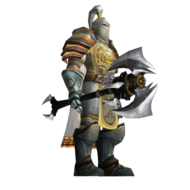 https://wowhead.com/npc=123371: Constructed deep within the core of Argus and outfitted with an arsenal capable of decimating worlds, this war machine has been designed for a single purpose: to bring the mortals' invasion to its knees. https://wowhead.com/npc=126916: Infused with fire and shadow, F’harg and Shatug are the prized pets of Sargeras. Bred for carnage, these hounds delight in eviscerating their master’s enemies. With the Army of Light and their allies advancing upon Antorus, the Legion prepares to unleash these vicious creatures onto the battlefield and put an end to the mortals’ invasion. Commanders: https://wowhead.com/npc=122367: Long ago, in the golden age of eredar civilization, a council was formed to oversee the defense of Argus and maintain peace. But after their dark bargain was struck with Sargeras, these master tacticians used their military expertise to help orchestrate a Burning Crusade that ravaged countless worlds. Now the full might of the Legion’s army is theirs to command, and they wield this terrible power to annihilate all who oppose the Dark Titan’s will. https://wowhead.com/npc=125012: Long ago, in the golden age of eredar civilization, a council was formed to oversee the defense of Argus and maintain peace. But after their dark bargain was struck with Sargeras, these master tacticians used their military expertise to help orchestrate a Burning Crusade that ravaged countless worlds. Now the full might of the Legion’s army is theirs to command, and they wield this terrible power to annihilate all who oppose the Dark Titan’s will. https://wowhead.com/npc=125014: Long ago, in the golden age of eredar civilization, a council was formed to oversee the defense of Argus and maintain peace. But after their dark bargain was struck with Sargeras, these master tacticians used their military expertise to help orchestrate a Burning Crusade that ravaged countless worlds. Now the full might of the Legion’s army is theirs to command, and they wield this terrible power to annihilate all who oppose the Dark Titan’s will. You can take part in this raid on Wednesday, October 24th, 2018 at 18:00 (server time). If you encounter a bug or any issue with the raid, let us know by leaving the information here. Information: This update pack has already been applied. General Pets' cooldowns will be shared across the character. Pets' attack speed buffs will no longer stack with each other. Raids, Dungeons and Instances Players will no longer be able to leave combat mid-fight using spells like http://mop.cavernoftime.com/spell=58984, http://mop.cavernoftime.com/spell=5384, http://mop.cavernoftime.com/spell=66 and others. Players who are resurrected mid-fight will no longer go out of combat, thus will no longer be able to resurrect other raid members or eat and drink. Player defensive abilities will no longer immune the player to certain boss debuffs (such as http://mop.cavernoftime.com/spell=143436). Battlegrounds & Arenas Internal changes to how queues are handled. Core support for solo queues. Will be tested in periods on Garrosh. (Periods will be announced prematurely). General Spells Knockback effects (e.g http://mop.cavernoftime.com/spell=51490) will now properly affect players affected by disorient effects (e.g http://mop.cavernoftime.com/spell=2094). Cooldowns of spells with 2 or more charges (e.g http://mop.cavernoftime.com/spell=121827) will no longer be affected by potion usage: Example of this would be, if you had 1 charge of http://mop.cavernoftime.com/spell=121827 left, using any kind of potion would render you unable to use your last charge of http://mop.cavernoftime.com/spell=121872. Issues regarding spells with multiple charges such as http://mop.cavernoftime.com/spell=121536 should now be resolved. Spells that proc on periodic damage will no longer be proceed by damage over time effects who affect the caster. Fixed some cases where controlled pets would be unable to properly attack while in stay/move to mode. Death Knight Scripted http://mop.cavernoftime.com/spell=138347. http://mop.cavernoftime.com/spell=116783’s healing will no longer be affected by PvP Resilience. Corrected AP coefficient of http://mop.cavernoftime.com/spell=51963 to 57.8%. http://mop.cavernoftime.com/spell=49998 will now heal on any hit outcome. http://mop.cavernoftime.com/spell=45529 will now work on depleted Death Runes as well. http://mop.cavernoftime.com/spell=77606 will no longer steal generic non-class spells from players (e.g http://mop.cavernoftime.com/spell=134735). Druid http://mop.cavernoftime.com/spell=108373 will no longer stay after unlearning the talent. http://mop.cavernoftime.com/spell=145162 will now properly force http://mop.cavernoftime.com/spell=5185 to utilize attack power instead of spell power. http://mop.cavernoftime.com/spell=138616 will no longer accumulate points before starting of arena and when it does, it will properly account for http://mop.cavernoftime.com/spell=134735. http://mop.cavernoftime.com/spell=81262 will no longer proc (consume) http://mop.cavernoftime.com/spell=114108. http://mop.cavernoftime.com/spell=114107 (Balance) should now have proper proc conditions. http://mop.cavernoftime.com/spell=144887 will no longer heal in total for 240% but rather for 30% of attack power. http://mop.cavernoftime.com/spell=96206 will now be properly consumed by http://mop.cavernoftime.com/spell=50464. Scripted http://mop.cavernoftime.com/spell=144841. Hunter http://mop.cavernoftime.com/spell=118253’s duration refresh from http://mop.cavernoftime.com/spell=77767 will no longer be able to excel 15 seconds. Traps will now properly account for nearby objects’ sizes. Small adjustments towards http://mop.cavernoftime.com/spell=49966, http://mop.cavernoftime.com/spell=16827 and http://mop.cavernoftime.com/spell=17253’s damage modifiers. Mage Spellstolen http://mop.cavernoftime.com/spell=12043 will no longer be infinite. http://mop.cavernoftime.com/spell=5405 will no longer replenish twice the amount of mana. http://mop.cavernoftime.com/spell=76613’s icicles will no longer stay indefinitely if http://mop.cavernoftime.com/spell=30455 is spammed. http://mop.cavernoftime.com/spell=131078’s http://mop.cavernoftime.com/spell=116 and http://mop.cavernoftime.com/spell=44614 will now properly produce Icicles. Minor corrections for http://mop.cavernoftime.com/spell=1953 collision detection. http://mop.cavernoftime.com/spell=30449 will no longer proceed to cast if there are no steal-able buffs. Monk http://mop.cavernoftime.com/spell=115080 will no longer deal damage equal to max health of target, instead that will now equal to the target’s remaining health. http://wowhead.com/spell=115072 and http://mop.cavernoftime.com/spell=115098’s chain/AoE effects will no longer pick-up targets with breakable by damage CC effects. http://mop.cavernoftime.com/spell=139597 will no longer proc multiple times per https://wowhead.com/spell=116847 or https://wowhead.com/spell=101546. http://mop.cavernoftime.com/spell=120483 will now properly heal target with lowest health. http://wowhead.com/spell=121253 will no longer generate Chi per each target hit. http://mop.cavernoftime.com/spell=115295 will no longer select party members’ pets. Update http://mop.cavernoftime.com/spell=137639’s spawns health and stats. There should no longer be a delay in http://mop.cavernoftime.com/spell=116670’s cast enabler. Paladin Corrected periodic healing amount from http://mop.cavernoftime.com/spell=144580. Priest Solved radius issue with http://mop.cavernoftime.com/spell=41635. http://mop.cavernoftime.com/spell=129197 will now be properly affected by http://mop.cavernoftime.com/spell=77486. http://mop.cavernoftime.com/spell=109142 will now properly proc from healing over time affects. Shadow Priest PvP 2-Piece Set Bonus will no longer grant http://mop.cavernoftime.com/spell=33333 proc passive. Rogue http://mop.cavernoftime.com/spell=14189 will now properly affect http://mop.cavernoftime.com/spell=115189’s stacks. http://mop.cavernoftime.com/spell=84617 will now properly affect http://mop.cavernoftime.com/spell=1943. Shaman http://mop.cavernoftime.com/spell=77222 will now properly duplicate critical chance for duplicate spells. http://mop.cavernoftime.com/spell=145003’s elemental will now properly attack victims. Duplicated spells from http://mop.cavernoftime.com/spell=108283 will now be able to trigger http://mop.cavernoftime.com/spell=77222. Corrected healing of http://mop.cavernoftime.com/spell=52007. http://mop.cavernoftime.com/spell=73685 will no longer affect http://mop.cavernoftime.com/spell=61295’s periodic healing amount. http://mop.cavernoftime.com/spell=118475 will now properly absorb 40% of incoming damage. Warlock http://mop.cavernoftime.com/spell=108683 will now properly cause http://mop.cavernoftime.com/spell=29722, http://mop.cavernoftime.com/spell=17962 and http://mop.cavernoftime.com/spell=108686 to consume Burning Embers. Updated http://mop.cavernoftime.com/npc=58963 physical damage formula. Demonology pets will no longer benefit twice from http://mop.cavernoftime.com/spell=77219. Warrior http://mop.cavernoftime.com/spell=115943 will now be triggered only by http://mop.cavernoftime.com/spell=5308’s critical strikes. Creatures Fixed an exploit with moving creatures where players would be able to interrupt the creature’s scripted movement by using a charge spell on them. (e.g Thok in SoO). http://mop.cavernoftime.com/spell=148001 & http://mop.cavernoftime.com/spell=148004 will no longer cause non-player character overflow. The previously spawned non-player character will be despawned. Kun-Lai Summit Scripted the following non-player characters: http://mop.cavernoftime.com/npc=59148 http://mop.cavernoftime.com/npc=59147 http://mop.cavernoftime.com/npc=59523 http://mop.cavernoftime.com/npc=59083 http://mop.cavernoftime.com/npc=59165 http://mop.cavernoftime.com/npc=59166 http://mop.cavernoftime.com/npc=59180 http://mop.cavernoftime.com/npc=59181 http://mop.cavernoftime.com/npc=60995 http://mop.cavernoftime.com/npc=61130 http://mop.cavernoftime.com/npc=61537 http://mop.cavernoftime.com/npc=50769 http://mop.cavernoftime.com/npc=59656 Brewfest http://mop.cavernoftime.com/npc=23486 & http://mop.cavernoftime.com/npc=27489 will now give http://mop.cavernoftime.com/item=46735 properly. Harvest Festival http://mop.cavernoftime.com/npc=15011, http://mop.cavernoftime.com/npc=15012, http://mop.cavernoftime.com/npc=15113 & http://mop.cavernoftime.com/npc=15114 will now be spawned during the event. Quests Scripted the following quests: Kun-Lai Summit http://mop.cavernoftime.com/quest=30460 http://mop.cavernoftime.com/quest=30509 & http://mop.cavernoftime.com/quest=30506 http://mop.cavernoftime.com/quest=30967 http://mop.cavernoftime.com/quest=30834 http://mop.cavernoftime.com/quest=30480 http://mop.cavernoftime.com/quest=30855 http://mop.cavernoftime.com/quest=30512 http://mop.cavernoftime.com/quest=30514 http://mop.cavernoftime.com/quest=30571 Timeless Isle http://mop.cavernoftime.com/quest=33229 & http://mop.cavernoftime.com/quest=33230 http://mop.cavernoftime.com/quest=33228 http://mop.cavernoftime.com/quest=33343 Brewfest http://mop.cavernoftime.com/quest=11118 & http://mop.cavernoftime.com/quest=11120 Objects Timeless Isle Added a ladder object to the game (you can now jump up on https://wowhead.com/npc=73704’s boat). Items Fixed cooldown duration of http://mop.cavernoftime.com/item=86569. 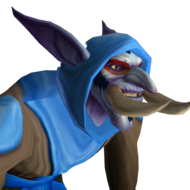 Fixed amount of http://wowhead.com/currency=738 will be looted from Timeless Isle NPCs. Professions Scripted http://mop.cavernoftime.com/spell=53042: Increased stat bonus by 148% for following flasks: http://mop.cavernoftime.com/spell=105694 http://mop.cavernoftime.com/spell=105689 http://mop.cavernoftime.com/spell=105696 http://mop.cavernoftime.com/spell=105691 Increased stat bonus by 132% for http://mop.cavernoftime.com/spell=105693. Doubled duration of flasks. http://mop.cavernoftime.com/spell=136197 can be learned from trainers now (http://mop.cavernoftime.com/npc=56777 & http://mop.cavernoftime.com/npc=65186). Achievements Fixed http://mop.cavernoftime.com/achievement=1183, you will be able to buy from the vendor the correct brew each month. 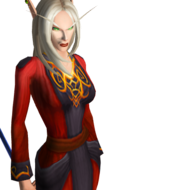 Hello, We'll be releasing the raid on Wednesday, October 24th, 2018 at 18:00 (server time) on Sylvanas. If you're encountering an issue or bug with the raid, let us know by filling in a small form and reply to this thread. Thank you for your feedback and support, good luck in your fight in this raid. Hello everyone, We've been working on this for several weeks, and we are excited to announce the opening on Argus next week. You guys were patiently waiting for it and soon you will be able to join forces with b.. I mean put your feet on it. We've spent a long time working on the various content that will be given to you, with the help of the Quality Assurance members who have tested daily and made this possible for you! Important Information • https://www.wowhead.com/currency=1357 and Emissary chests will be reset on October, 15th, 2018. • You will need to use or open them before the release which will take place on October 15th, 2018. All quests are available. Information • Loot and Achievements will be available. • Modes: Heroic and Mythic+. The Seat of the Triumvirate is a long-abandoned building in the center of Mac'Aree that was once the center of eredar ruling power. It has been overtaken by the presence of the Void and its Shadowguard, seeking the darkened naaru L'ura. It was a site of miracles and marvels. https://www.wowhead.com/npc=122313 Zuraal represents the Shadowguard's first success at creating a void-infused Broken whose mind has not fallen into madness. A renowned brawler in his past life, Zuraal uses his newfound dark strength to empower his attacks and decimate his foes. https://www.wowhead.com/npc=122316 The ever-tactical Saprish deploys the forces of the Shadowguard with calculated precision. Though a skilled commander and strategist, Saprish relishes taking a direct hand in battle. He turns his foes' weaknesses against them, leaving his vulnerable adversaries at the mercy of his voracious pets. 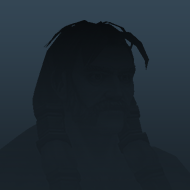 https://www.wowhead.com/npc=124309 Like others of his ilk, Viceroy Nezhar is obsessed with harnessing the power of the Void to serve his own ambitions. Drawn to the Seat of the Triumvirate by the immense darkness emanating from deep within, Nezhar will stop at nothing to claim it for his own. Given the viceroy's experiments at infusing vessels with the power of shadow, the implications of what he might accomplish on Argus are dire indeed. https://www.wowhead.com/npc=122314 When Velen and his followers fled Argus aboard the Genedar, the naaru L'ura stayed behind to buy the draenei time to escape. Kil'jaeden, enraged by this betrayal, ordered the wounded naaru sealed away in the Seat of the Triumvirate. Over the long millennia that passed, L'ura fell from Light to Void. Her elegant song of courage and hope became a shadowy dirge of despair, luring those seeking to lay claim to her power. You can take part in this dungeon on Monday, October 15th, 2018 at 18:00 (server time). If you encounter a bug or any issue with the dungeon, let us know by leaving the information here. Information • First wing available • Modes: LFG, Normal, Heroic Antorus represents the center and source of the Legion’s power, and the team approached the design of the zone with several principles in mind. First off, Antorus is staggering in scale; this is not a mere terrestrial fortress or keep, but rather a sprawling complex carved into the depths of a shattered world, and while sections of the raid are traversable on foot, players will use the Vindicaar and other means of conveyance to span the great distances involved. Second, this is the culmination of a military campaign by the Army of the Light and our other major allies in this fight, and player champions represent the tip of the spear with an army at their back. As you carve a path through Antorus, a pitched battle rages all around you, and your actions help advance the cause of the Light in this battle for the fate of all worlds. And finally, we get a rare chance to delve into the Legion’s true origins—before the Fel, and before black and green corruption, there was a single mighty titan who embarked upon a crusade that would shape the fate of the universe. A glimpse of those ancient secrets awaits the bold and daring souls who venture into the innermost depths of Antorus. 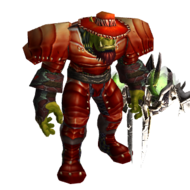 https://wowhead.com/npc=123371: Constructed deep within the core of Argus and outfitted with an arsenal capable of decimating worlds, this war machine has been designed for a single purpose: to bring the mortals' invasion to its knees. https://wowhead.com/npc=126916: Infused with fire and shadow, F’harg and Shatug are the prized pets of Sargeras. Bred for carnage, these hounds delight in eviscerating their master’s enemies. With the Army of Light and their allies advancing upon Antorus, the Legion prepares to unleash these vicious creatures onto the battlefield and put an end to the mortals’ invasion. https://wowhead.com/npc=122367: Long ago, in the golden age of eredar civilization, a council was formed to oversee the defense of Argus and maintain peace. But after their dark bargain was struck with Sargeras, these master tacticians used their military expertise to help orchestrate a Burning Crusade that ravaged countless worlds. Now the full might of the Legion’s army is theirs to command, and they wield this terrible power to annihilate all who oppose the Dark Titan’s will. You can take part in this raid on Wednesday, October 24th, 2018 at 18:00 (server time). If you encounter a bug or any issue with the raid, let us know by leaving the information here. The current season on our Syvlanas and Greymane realm will end on Monday, October 15th, 2018. The award distribution will happen during the week of Monday, October 15th, 2018 and each realm will independently receive a reward. There will be seven days off for the off-season to prepare the new content patch of 7.3.5. The rewards will be distributed to 3v3 regardless the factions nor the realms. Here are the level of rewards: Top 1 to 7 (minimum rating: 2200): Cruel Gladiator, http://wowhead.com/achievement=11012 and the mount http://wowhead.com/item=141845. Top 8 to 15 (minimum rating: 2100); Gladiator, http://wowhead.com/achievement=11038, and the mount http://wowhead.com/item=141845. Top 16 to 60 (minimum rating: 1800): Duelist, http://wowhead.com/achievement=2092. Top 61 to 120 (minimum rating: 1700): Rival and http://wowhead.com/achievement=2093. Top 121 to 300 (minimum rating: 1600): Challenger and http://wowhead.com/achievement=2090. About rated battlegrounds, ( http://www.wowhead.com/achievement=11018/hero-of-the-alliance-vindictive / http://www.wowhead.com/achievement=11019/hero-of-the-horde-vindictive) will be given to for the top 1 to 10 players by their faction. We will also be banning and removing players who have been win-trading during this season. Please remember that you must have at least 50 matches during this season in order to be eligible for rewards. Argus Come discover a new world exclusively on Firestorm, with its three zones, world quests, quests, and its history! Available on October 15th, 2018 on our Sylvanas realm! Read More. Migrate to Firestorm Migrate up to two characters from any server that's 7.0, 7.1, and 7.2 to Firestorm. It's time for you to play the latest content and enjoy patch 7.3! Read More. Invasion Points The fiery legion is omnipresent on Argus; the fight is unavoidable! You will have to push through it at all costs on the invasion sites. Many rewards will be given to you with each victory. Read More. New Legendary System You will be able to exchange 1,000 https://www.wowhead.com/currency=1533 and use it to buy https://www.wowhead.com/item=157796 which gives you a random legendary! The item that you will receive will be random depending on your specialization. We also doubled loot rates for legendary items! Read More. Battle for Azeroth We are still working on this in parallel with Legion. More information will be available shortly. Boris Hey you guys, I've returned from the beach as I was on vacation! My chicken and I will be back on Firestorm on Friday, October 12th at 16:00 (server time) until Monday, October 15th 2018! I’ll be giving you a character for free to maximum level and its base gear on any of our expansions. The current season on our Syvlanas and Greymane realm will end on Monday, October 15th, 2018. The award distribution will happen during the week of Monday, October 15th, 2018 and each realm will independently receive a reward. There will be seven days off for the off-season to prepare the new content patch of 7.3.5. The rewards will be distributed to 3v3 regardless the factions nor the realms. Here are the level of rewards: Top 1 to 7 (minimum rating: 2200): Cruel Gladiator, http://wowhead.com/achievement=11012 and the mount http://wowhead.com/item=141845. Top 8 to 15 (minimum rating: 2100); Gladiator, http://wowhead.com/achievement=11038, and the mount http://wowhead.com/item=141845. Top 16 to 60 (minimum rating: 1800): Duelist, http://wowhead.com/achievement=2092. Top 61 to 120 (minimum rating: 1700): Rival and http://wowhead.com/achievement=2093. Top 121 to 300 (minimum rating: 1600): Challenger and http://wowhead.com/achievement=2090. About rated battlegrounds, ( http://www.wowhead.com/achievement=11018/hero-of-the-alliance-vindictive / http://www.wowhead.com/achievement=11019/hero-of-the-horde-vindictive) will be given to for the top 1 to 10 players by their faction. We will also be banning and removing players who have been win-trading during this season. Please remember that you must have at least 50 matches during this season in order to be eligible for rewards. Good luck and congratulations to all participants. Second Part: Hello everyone, Argus is the original homeworld of the eredar. it is once an utopian world whose inhabitants were both vastly intelligent and highly gifted in magic. Thousands of years ago, the eredar lived here in tranquility. Argus has since been twisted by demonic, chaotic energies and has become the stronghold of the Burning Legion and is even referred to as Legion's homeworld. It is bisected by a great fel-radiating rift that ends at a cataclysm which has removed a portion of the planet. Argus is so saturated with fel magic that a demon's death there is permanent. However, the krokul present on Argus say that even though the demons are killed here, they return. Argus was once ruled by the Second Duumvirate, consisting of Velen and Kil'jaeden. During this time, the sorcerer Thal'kiel and his order of eredar mages, the Wakeners, began using summoning magics to conjure demons from the Twisting Nether. Archimonde, his trusted apprentice, decapitated his former master himself. Archimonde would later rise to rule Argus alongside Velen and Kil'jaeden, and the three eredar wisely ruled the planet for many years in harmony. Eventually, Argus attracted the attention of Sargeras. He offered the eredar a deal: in exchange for their loyalty, he would give them power undreamed of by all races. Kil'jaeden and Archimonde were quick to accept the offer, but Velen had a vision of the future: the eredar would be transformed into demons under the rule of Sargeras. Eventually, Velen was contacted by a race of divine energy beings called the naaru and guided his followers off the planet. They fled Argus, taking the name draenei, meaning "exiled ones", while Kil'jaeden, Archimonde became the feared, insidious sorcerers and tacticians of the Burning Legion. As the draenei fled, the world was devoured by the Burning Legion. Argus will be arriving on Firestorm in less than one month. Yeah, we said less than one month ! With the release of Argus you can expect the following features; Full Questline: Yeah, you can complete it all in one day. We promise! Seat of Triumvirate: Available in Heroic, Mythic, and Mythic+. World Quests: We love exploring; you should too. Adventure out of your comfort zone and conqueror the world quests. Rare and Treasures Netherlight Crucible New Legendary System: We know you complained about this the most, infact it's the most feature everyone has asked for. You will be able to obtain Wakening Essence and use it to buy Purified Titan Essence which gives you a random legendary . Invasion Points: Greater Invasion Points included. Antorus: First wing within the two weeks after the initial release. Profession Recipes, Materials, and Quests. Reputation and Vendors. Relinquished Vendor (910 item level gear vendor). Are you prepared? Good luck champions. If you're struggling with this, then we highly recommend you view the guide. They're opened now submit your request before the close and we process the next batch! Migrations are disabled as we're currently processing the batch, they will be opened again when the batch is completed. You need to put your status to "Online" if you were invisible. Must be level 110. Personal message me your character name that you transferred. Until the first batch of transfers are sifted through, as you're probably aware we received a lot of them 😬. What? You guys need to have patience there is a lot of people wanting to transfer and we're doing our best to accommodate and transfer them. Read the main thread it says what is transferred. We'll see!